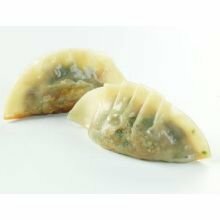 Stefano New York Style Wrapped Pepperoni Calzone, 6 Ounce — 12 per case. 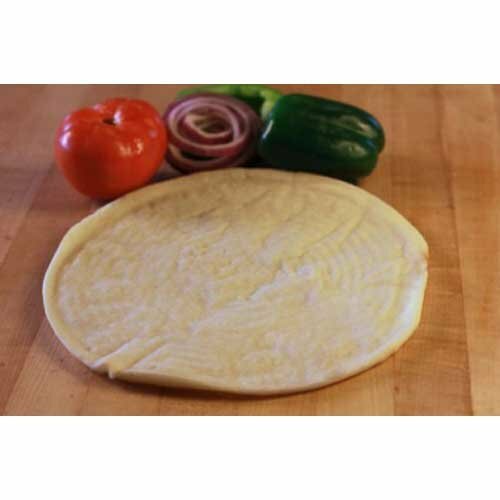 Venice Bakery Crust Pizza 12 inch Gluten Free Plain — 20 per case. 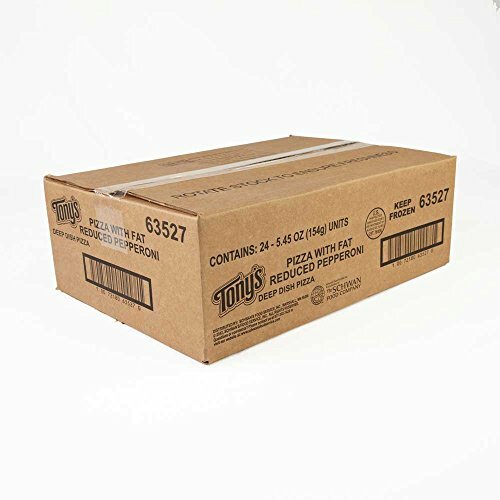 Schwans Tonys Pepperoni Par Baked Pizza, 6.25 Ounce — 24 per case. 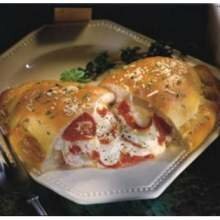 Stefano New York Style Wrapped Pepperoni Calzone, 6 Ounce — 12 per case. Stefanos New York Style Calzones are made with the finest ingredients. 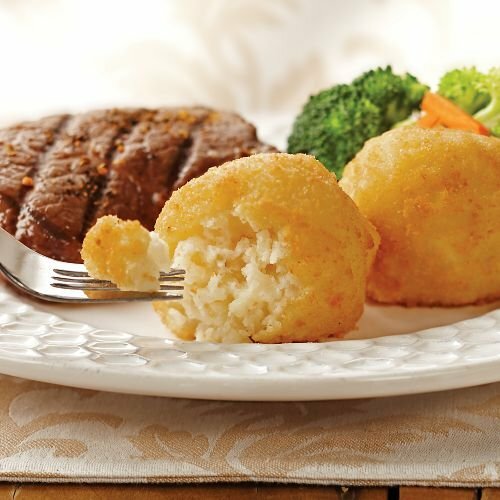 We slice all of our meats and use a medley of cheeses to bring you a true Italian treat. 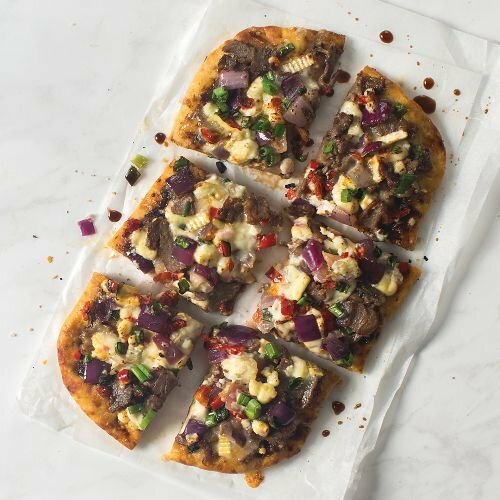 Dough: Enriched Unbleached Wheat Flour (Wheat Flour, Niacin, Iron, Thiamine Mononitrate,Riboflavin, Folic Acid), Water, Soybean Oil (With Citric Acid Added As A Preservative), Doughconditioner (Salt, Wheat Flour, Dextrose, Mono And Diglycerides, Ascorbic Acid, L-Cysteine),Palm Oil, Yeast (Yeast, Sorbitan Monostearate, Ascorbic Acid). 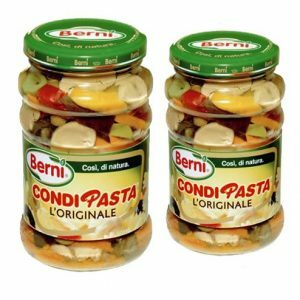 Filling: Pepperoni (Pork, Beef,Salt, Contains 2% Or Less Of Dextrose, Garlic Powder, Lactic Acid Starter Culture, Naturalspice Extractives, Oleoresin Of Paprika, Sodium Nitrite, Spices, Bha, Bht, Citric Acid. 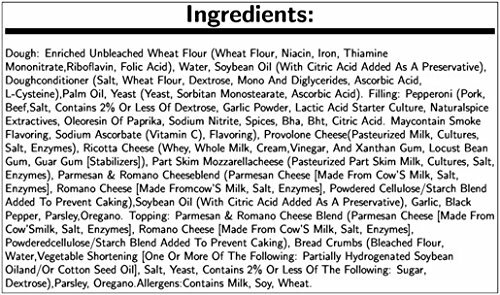 Maycontain Smoke Flavoring, Sodium Ascorbate (Vitamin C), Flavoring), Provolone Cheese(Pasteurized Milk, Cultures, Salt, Enzymes), Ricotta Cheese (Whey, Whole Milk, Cream,Vinegar, And Xanthan Gum, Locust Bean Gum, Guar Gum [Stabilizers]), Part Skim Mozzarellacheese (Pasteurized Part Skim Milk, Cultures, Salt, Enzymes), Parmesan & Romano Cheeseblend (Parmesan Cheese [Made From Cow’S Milk, Salt, Enzymes], Romano Cheese [Made Fromcow’S Milk, Salt, Enzymes], Powdered Cellulose/Starch Blend Added To Prevent Caking),Soybean Oil (With Citric Acid Added As A Preservative), Garlic, Black Pepper, Parsley,Oregano. Topping: Parmesan & Romano Cheese Blend (Parmesan Cheese [Made From Cow’Smilk, Salt, Enzymes], Romano Cheese [Made From Cow’S Milk, Salt, Enzymes], Powderedcellulose/Starch Blend Added To Prevent Caking), Bread Crumbs (Bleached Flour, Water,Vegetable Shortening [One Or More Of The Following: Partially Hydrogenated Soybean Oiland/Or Cotton Seed Oil], Salt, Yeast, Contains 2% Or Less Of The Following: Sugar, Dextrose),Parsley, Oregano.Allergens:Contains Milk, Soy, Wheat. 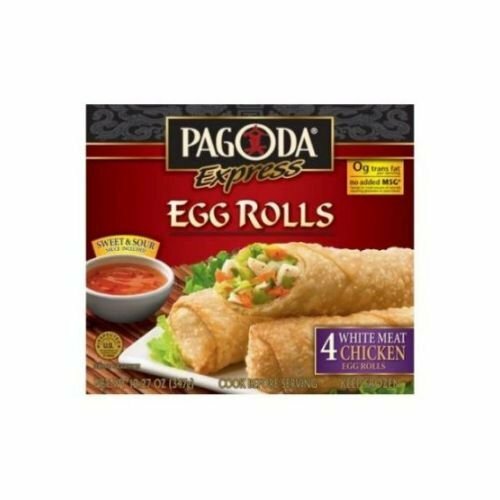 Pagoda Express White Meat Chicken Egg Rolls, 12.27 Ounce — 12 per case.